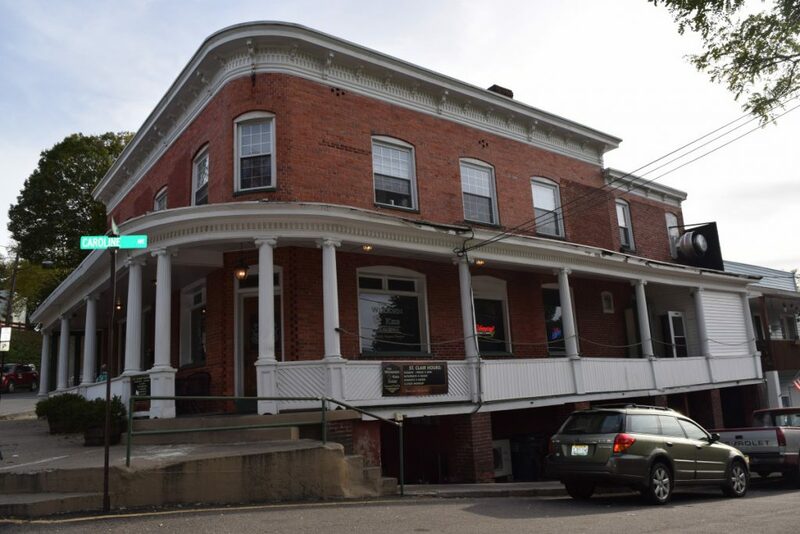 The Wooden Keg Tavern in St. Clair, Pennsylvania. Photo: Bruce Forsyth. 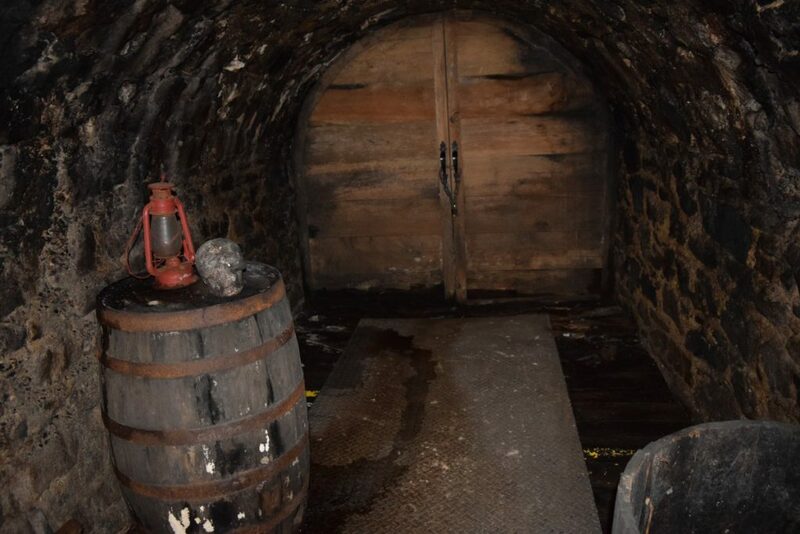 The entrance to the tunnel in the cellar of the Wooden Keg Tavern. Photo: Bruce Forsyth. The legacy of the Molly Maguires is all over Schuylkill and Carbon Counties in Pennsylvania. For those interested in visiting some of the locations where the members of the infamous secret Irish society lived, gathered, maimed, murdered and were executed, there are plenty of documented locations to visit. One “reputed” hangout can be found in St. Clair, Pennsylvania: the Wooden Keg Tavern. Active in the 1860s and ’70s, the Molly Maguires fought for the rights of Irish immigrants working and dying in the coal mines of Pennsylvania, controlled by the powerful railroad and coal mine companies that controlled every aspect of their working and private lives to the extent of making them indentured servants with no end in site to their servitude. However, there is some disagreement today as to whether the Molly Maguires were motivated by personal vendettas. Many places in the region lay claim as “reputed” hangouts for the Mollies, but as it was a secret society, validating those claims can sometimes be difficult as proof sometimes died with the Mollies themselves. However, that hasn’t stopped many places from claiming a connection to the Mollies. While there is no conclusive proof the Wooden Keg Tavern was one of their hangouts, it certainly appears to have a clandestine past. What is now the Wooden Keg Tavern opened in 1866 as the Dormer-Canfield Atlantic Hotel. On the hill across the street, where a church now stands, was co-owner Martin Dormer’s distillery and it would appear that the eight foot wide by seven foot high tunnel was used to transport liquor to the pub. It’s likely it could have also doubled as an “escape tunnel” for anyone, Molly or not, who wished to escape from the local constabulary. The connection to the Mollies comes from the fact that Dormer’s brother, Patrick, was believed to be a “Molly” and it has been reported that James McParlan, a Pinkerton detective who infiltrated the Mollies, patronized the pub as a part of his efforts to get close to suspected members. 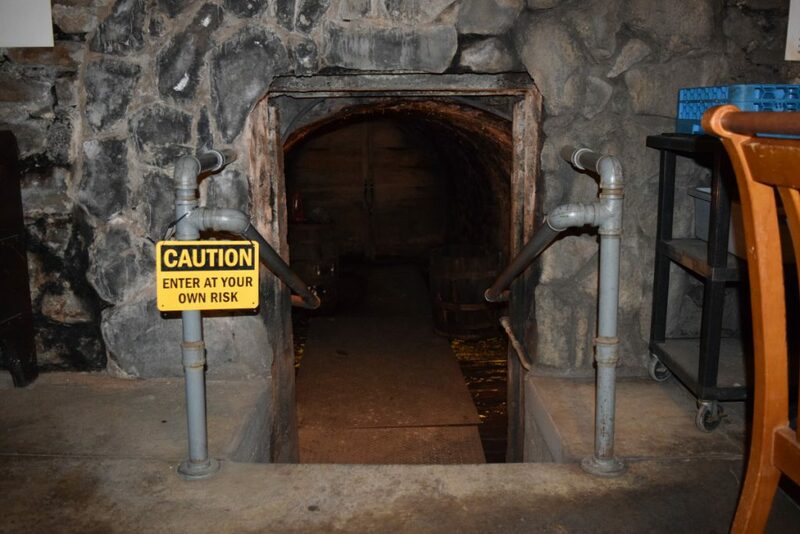 One can’t help but wonder if the tavern and tunnel do have a connection to the Mollies. If only walls could talk. 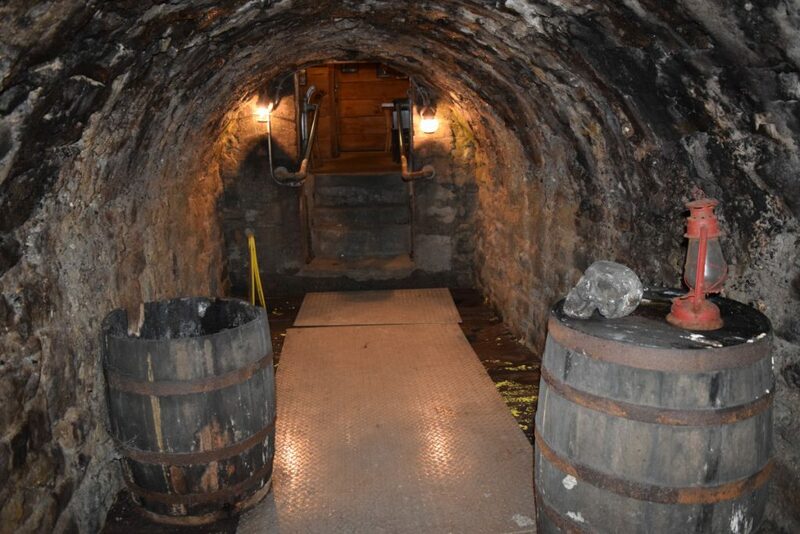 The tunnel in the cellar of the Wooden Keg Tavern. Photo: Bruce Forsyth.